The tropical island nation of Seychelles is to create two huge new marine parks in return for a large amount of its national debt being written off, in the first scheme of its kind in the world. The novel financial engineering, effectively swapping debt for dolphins and other marine life, aims to throw a lifeline to corals, tuna and turtles being caught in a storm of overfishing and climate change. If it works, it will also secure the economic future of the nation, which depends entirely on tourism and fishing. With other ocean states lining up to follow, the approach could transform large swaths of the planet’s troubled seas. The new parks will cover 15% of the Seychelles ocean. The challenge for the Seychelles is clear on the coral reef fringing Curieuse Island, once a leper colony and now a national park. The mass bleaching caused by warming waters in 2016 has left the white limbs of branching corals lying like bones in a ploughed graveyard, with rare flashes of the cobalt-blue coral survivors. “The biggest changes are climate change,” says David Rowat, a marine scientist and diving school owner for 30 years, who says storms and bleaching events are becoming more frequent. Some clownfish have never returned since the major bleaching in 1998, he says: “The ‘nemos’ all went.” As the reef recovered, the 2016 bleaching was a “kick in the teeth”, Rowat says. Overfishing, and the killing of dolphins, sharks and turtles as bycatch in tuna nets, is also taking its toll across the Seychelles’ vast ocean territory. The new marine plan bans fishing around biodiversity hotspots, keeping them healthy and better able to resist climate change. Storms and coral bleaching are becoming more frequent in the Seychelles. The biodiversity jewel in the Seychelles crown is the Aldabra archipelago, which rivals the Galapagos in ecological importance. Spinner dolphins, manta rays, humpback whales and nurse, lemon and tiger sharks share the waters with hawksbill and green turtles, and seabirds from some of the world’s largest colonies soar above. Dugongs - or sea cows - are the most endangered species in the Indian Ocean and shelter here, while 100,000 rare giant tortoises slowly roam the land. The new protected area around Aldabra is 74,000 square kilometres - almost the size of Scotland - and bans all extractive uses, from fishing to oil exploitation. 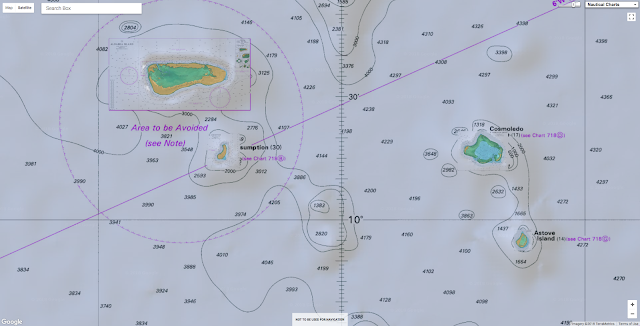 The second new protected area is 134,000 sq km, centred on the main Seychelles island of Mahe. It allows controlled activities but is, for example, banning “fish aggregating devices” – rafts that concentrate fish but drive up bycatch. Together, the parks cover 15% of the Seychelles ocean and the government will double this by 2021, putting it far ahead of an international target of 10% by 2020. The parks resulted from the first ever debt-swap deal for marine protection in which $22m of national debt owed to the UK, France, Belgium and Italy was bought at a discount by The Nature Conservancy (TNC), the NGO that has assisted the Seychelles. TNC also raised $5m from donors to pay off part of the debt and cut the interest rate charged to the Seychelles government on the outstanding loan. This has freed up $12m over the next 20 years to help implement the new marine plan. “The Seychelles is positioning itself as a world leader in ocean governance,” says environment minister, Didier Dogley. In the Seychelles, the investigation enters the shady world of longline fishing. However, despite the biggest consultation since the Seychelles nation was founded, some islanders have not welcomed the new plan. Some fishermen are worried about the conservation plan. But others have bought into the idea, including Graham Green, a young fisherman at Baie St Anne on Praslin: “If the fish are protected where they are spawning, I’ve heard they will get bigger. 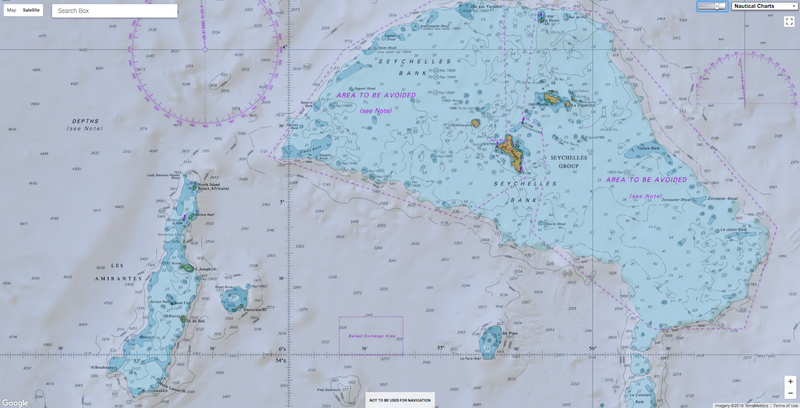 Another challenge to the marine plan is a controversial new military base planned for the island of Assumption, about 20 miles from the Aldabra atoll and to be paid for by India. One well-informed source, who asked for anonymity, told the Guardian: “I am worried that it could damage the biodiversity of Aldabra. We are talking about big ships coming in to berth.” That implies pollution and the dredging of channels, which can cover corals in silt, he says. “The Assumption saga will certainly test the credibility of the marine spatial plan process,” says Keith Andre, from the Fisherman and Boat Owners Association. 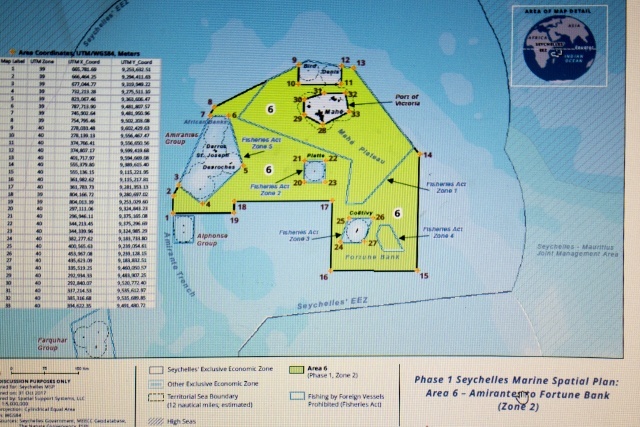 But Seychelles vice-president, Vincent Meriton, says the military base will have to pass environmental assessments and will actually benefit protection, by enabling better surveillance around the isolated Aldabra archipelago: “This facility will allow us to better monitor. 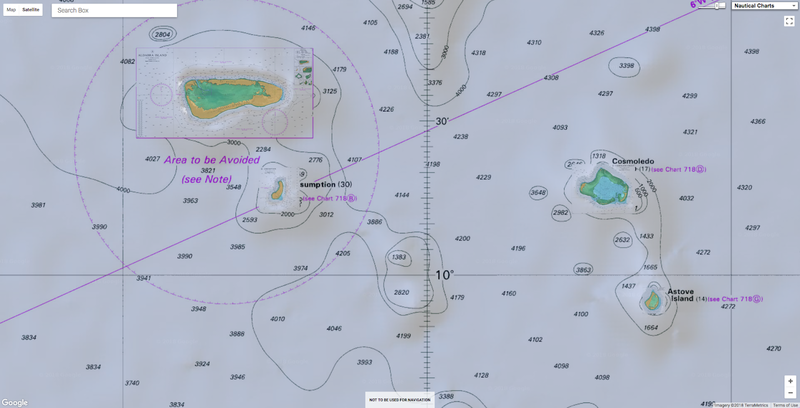 Meriton also says the Seychelles will need to use new satellite surveillance programmes that use machine learning algorithms to detect the tell-tale movement patterns of fishing boats, already in use in some parts of the Pacific. Oil exploration is another dilemma for the Seychelles, which could be sitting on “world-class” reserves, according to Patrick Joseph, CEO of PetroSeychelles, a state-owned company. It has given up some high-priority prospects, such as the Wilkes seamount which is now in the Aldabra protection zone. New satellite surveillance programmes could detect the patterns of fishing boats. Many of the details of exactly what is allowed in the protected zones could not be finalized until the areas were selected and are still being worked out, meaning many difficult negotiations still lie ahead. “It is a chicken and egg situation,” says Helena Sims, TNC’s project manager in the Seychelles. 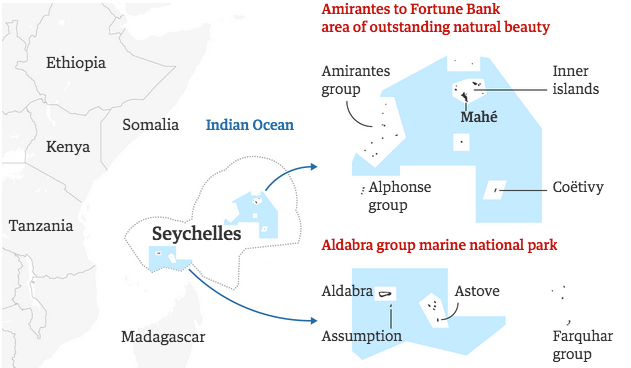 The Seychelles debt swap is a vital test case for this new way of funding ocean conservation. Rob Weary at TNC did the deal and expects to close a $60m debt swap deal with Grenada this year and a series of others in the Caribbean in the next couple of years. Mauritius also has serious interest. Despite the election of Donald Trump scuppering for now planned swaps of US debt for Palau and the Marshall Islands in the Pacific, Weary is confident debt swaps for marine conservation are going to grow: “In the next three to five years we could potentially do a billion dollars of these deals. “All eyes are on us to see whether it works,” says Sims. The Seychelles, which is 99% ocean, will have gone from 0.04% to 30% protected area in a few years if it does. Questions, such as oil exploration, remain. But environment minister Dogley says: “We don’t have answers for everything now but the marine spatial plan has started the process of thinking about these things - before we were not.